Programs, posters and save the dates. ...a day of fun, family and fellowship!! Vitaflo will be sponsoring our 14th annual low protein cooking demonstration. 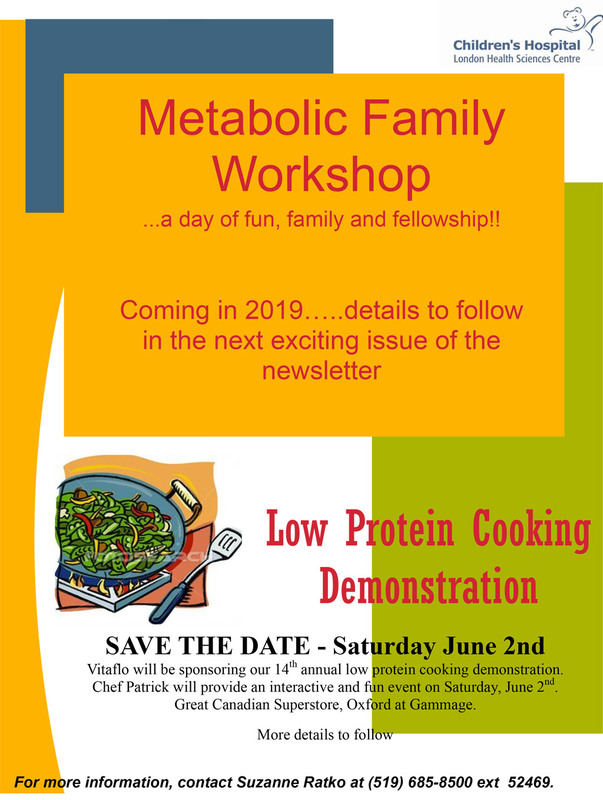 Chef Patrick will provide an interactive and fun event on Saturday, June 2nd. For more information, contact Suzanne Ratko at (519) 685-8500 ext 52469.